The Best of Sydney on a Budget! Sydney is a world class city famous for its landmarks, buildings, shopping, restaurants, beaches and harbour! Given all those accolades, can you really visit Sydney on a budget and still bask in all that Sydney has to offer? Here are a few of my tips on how to get the best out of Sydney without breaking the bank! The Royal Botanic Gardens, an oasis of 30 hectares in the heart of the city, is an easy 20 minute walk from Circular Quay. Wrapped around Farm Cove at the edge of Sydney Harbour, the Royal Botanic Garden occupies one of Sydney’s most spectacular positions, boasting killer views and a historical landmark called Mrs Macquarie’s Chair. Hand carved by convicts from sandstone in 1810 for Governor Macquarie’s wife, Mrs Macquarie’s Chair is shaded by huge Moreton Bay fig trees making it a prime picnic spot and a perfect way to spend an afternoon exploring Sydney on a budget! 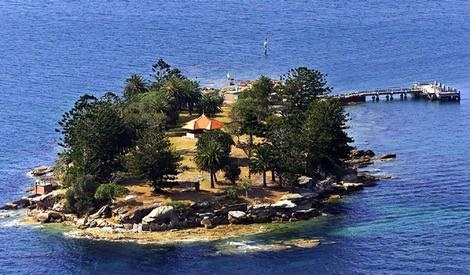 Shark Island offers a picnic experience that’s a little bit different! The island received its name because of its shape and not its wildlife! One kilometre off Rose Bay, the 1.5 hectare island has spectacular views down the harbour to the Sydney Harbour Bridge and the Sydney Opera House. There are picnic tables and shady trees. Explore the rocky foreshore, the hand-built grottos and the island’s sandy beaches. Matilda’s Shark Island Ferry departs daily every 45 minutes, from both Darling Harbour and Circular Quay. Return tickets plus Island entry fees are $20/ adult and $17/child. What a fun day out with the family on a budget! Established in 1827, Australian Museum is the country’s first museum featuring extensive collections of natural science and cultural artefacts. It has an international reputation in the fields of natural history and indigenous research, community programs and exhibitions. General admission $12/adult and $6/child. 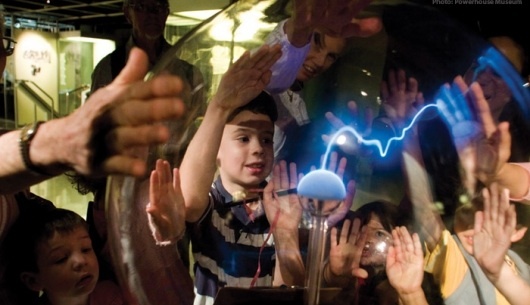 Located next door to Darling Harbour, the Powerhouse is one of Australia’s largest and most diverse museums.More than 250 interactive exhibits bring the Powerhouse Museum to life with holographic images, touch screen computers, science experiments and virtual reality space. It features an extraordinary array of treasures across decorative arts and design, science, technology, space, transport and social history. General admission $12/adult and $6/child. The Australian National Maritime Museum is a distinctive indoor and outdoor attraction providing a great day’s entertainment for kids and parents alike. The museum also hosts an ever-changing program of temporary exhibitions and a fleet of historic craft at its wharves. General admission $7/adult and $3.50/child. The Museum of Sydney explores colonial and contemporary Sydney through objects, pictures and new digital media techniques. 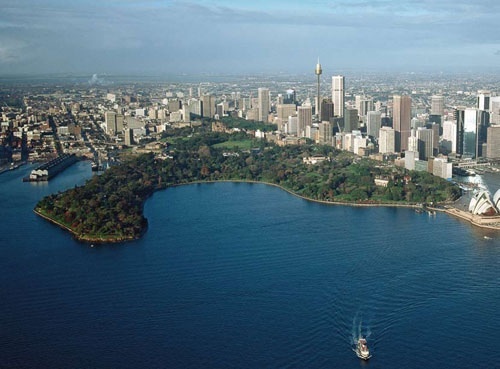 Panoramic views of Sydney – from 1788 until today – stretch across walls and video screens. Convict Sydney is explored in a giant showcase of goods and chattels recovered from more than 25 archaeology digs. General admission $10/adult and $5/child. ← The ‘High Speed Rail’ – would you use it? 176,805 Holiday Fans have visited this Page.